The natural abundance of silver as well as the craftsmanship found in Taxco, Guerrero created a worldwide market that reaches back to the 1500’s for this small city located in the hills of southern Mexico. However, in the past century the silversmith trade has exploded as native customs have dominated artists’ designs. It was the American, William Spratling who took control of revamping the practice of the waning craft while developing a market that took off rapidly across the globe. Spratling spent the last 37 years of his life dedicated to designing silver jewelry influenced by the native culture, training natives in the art of the silversmith, and extending the reaches of the local market. Because of the development brought about by his efforts and those of others whose talents emerged in his footsteps, today Taxco’s silver market sustains its community and is known internationally as the silver capital of the world. Taxco was formerly known as “Tlacho” by the native Indians of the Aztec tribe who were quite aware of their region’s natural wealth in silver. Their manipulation of the precious metal could be seen throughout their cities, which strongly attracted the early Conquistadors. In 1521, Hernan Cortes’ army defeated the Aztecs and within a year began his silver mining operation. By the 17th century, the silver of Taxco had spread across Europe becoming Spain’s principal resource of precious metals in the New World. Taxco’s silver production began to slow down steadily this next century, though, as numerous other mines were discovered as Europeans spread across uncharted lands. Interest in the area’s silvery supply reignited in 1716 when Frenchman Jose de la Borda came across new rich deposits and worked to restart the market. Once again, the silver industry of Taxco was expanding until Mexico’s War of Independence from 1810-1821 whenever the Spanish barons decided to destroy all of their mines so that they might deny them to native revolutionaries, hence ending the silver trade for the next century (“History” 2009, Mark 2000:1-3). It was the Revolution of 1910 that left Mexico in pursuit of a national identity; a movement later termed “Mexicanismo,” which initiated the reclamation of many pre-Columbian traditions, including the reestablishment the silversmith craft in Taxco. The silver market before was based solely on European designs by European artists, but the push for local development that could express their rich, native background attracted the interest of one ambitious American who was willing to help their cause (Morrill 2002:14). William Spratling was a professor of architecture at Tulane University during the early 1920’s when after several visits to Mexico he became motivated to move south of the border. He soon delved into the art scene of Mexico and befriended many artists, including the muralist Diego Rivera. He eventually settled in Taxco where he learned about the city’s wealth of silver that at one time was mined extensively, yet never crafted much by the local populace. Spratling was quickly convinced of the potential skill that many locals presented as he inspired them to become a community of artisans creating their own culturally significant designs while reviving the art of silversmithing (Mark 2000:1-3, “History” 2009). Thus began the early period of Taxco’s silver industry, which would drastically alter the procession of the city’s artistic and economic history. Spratling founded the Taller de las Delicias in 1931, an apprenticeship community with an encouraging system of training, after having persuaded locals to participate in the stimulation of a silver trade and studying their pre-Columbian background in order to create his own initial designs as well. This system also became a business once Spratling located buyers throughout Mexico and eventually in the United States, hence allowing local artisans to learn while making a profit. He was also able to bring in the highly respected goldsmith Artemio Navarrete from Iguala to instruct the apprentices in the art of shaping precious metals. During the beginning stages of production most pieces were based on Aztec sculptures, Mixteca-Puebla codices, and random clay seals from Spratling’s own collected works. Over the next few years, the growth of the company was exponential and in 1938 with over 120 silversmiths in his service, Spratling y Artesanos, S.A. was founded. Spratling was known as a supportive patron to his trainees and was very encouraging whenever his students began to launch their own workshops once the industry had matured thoroughly. In 1939, Antonio Castillo established Los Castillo and Héctor Aguilar his Taller Border employing many new young artists while exploring deeper into their people’s unique past for inspiration. In addition, Ana Brilanti founded her own workshop, Victoria, in 1940 as she initiated the method of combining metals (Morrill 2002:23-29, Mark 2000:47-64). World War II triggered a second stage in the development of Taxco’s silver industry. While most of the world was digging itself into a massive debt, the Taxco markets experienced staggering growth since European luxury items were no longer available. Another important reason came with extensive contracts established with the U.S. government for military insignia. With business booming, hundreds of new workshops opened throughout Taxco, Guadalajara, and Mexico City, though this also involved a reduction of quality and innovation. Spratling personally designed two emblems for the U.S., which both helped fund the Red Cross. New foreign faces were eagerly entering the silver game mixing diverse cultural influences while focusing on the native Mexican style. Some of the more significant names included Hubert Harmon from the United States and Jean Puiforcat of France. The most important development during this period came whenever Spratling sold over 80 percent of his company’s stock in order to support the relocation of his workshop into La Florida, a modernized ex-hacienda. While competing with Taller Borda and Los Castillo, these shares ended up in the hands of Russell Maguire, an investor whose bad business procedures left the company bankrupt. Spratling voted against filing bankruptcy and reluctantly resigned from the company he had established in 1945. Maguire was even able to secure ownership over the company name and trademark after his departure. Free from his obligations in Taxco, Spratling received requests from Alaskan officials to help develop another craft industry with their native Alaskans. The Alaskan enterprise ultimately failed before the end of the decade and Spratling once again headed for Mexico (Morrill 2002:29-39, Mark 2000:65-73). In 1949, Spratling joined the silver company, Conquistador, located in Mexico City, but insisted that his designs be produced by his maestros back in Taxco, which began the age of maturity for the silver industry. The temporary work he had done in Alaska with a wider variety of materials and tools greatly influenced his technique as he now focused on the “expression of movement in the abstract” with the line, spiral, arrow, and circle as the main subjects utilized while depicting native Mexican and Alaskan art styles. However, his affiliation with Conquistador did not last long whenever Spratling decided to begin contracting orders for his old maestros with nearby companies, including those of his friends, Antonio Castillo, Héctor Aguilar and Antonia Pineda. Throughout the 1950’s artisans were expanding their artistic range by further exploring pre-Columbian subjects as well as past techniques, incorporating methods such as feather art or “pluma azteca” recollected from the vibrant religious festivals of the Aztecs. Also delved into was more work with machines and modern approaches including the gold leaf designs of Margot van Voorhies Carr, the pearl-like oxidation finish of Sigi Pineda, and the “cartoniado”, or “hollow boxes of space” jewelry designs from the artists working at Los Castillo. Spratling even expanded his artistic scope furthering by combining silver, gold, shell, and other various precious stones in the hundreds of designs he created in the last fifteen years of his life (Morrill 2002:39-59, Mark 2000:75-92, 113-126). 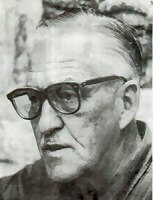 Spratling died in a car accident in 1967 leaving a legacy with his name for citizens throughout Mexico due to his dedication to the promotion of silver especially within the city of Taxco. To this day, Spratling is remembered as “The Father of Mexican Silver” as many of his designs reside in the Taxco Silver Museum as well as the Spratling Museum of Taxco. His enthusiasm and perseverance is known to have inspired many to continue the creative exploration and expansion of the silver industry, which now houses over 5,000 shops and dozens of distinguished jewelers. Some of the more prominent silversmiths that have emerged since Spratling’s death include Emilia Castillo, daughter of Antonio Castillo, whose designs emphasize the environment and a more encompassing past of Mexico; Teresa Camino, who studied at the Design and Crafts School of Fine Arts in Mexico City and now provides jewelry to companies in both Mexico and the United States while working with a group of expert silversmiths in Taxco; and Jason Creagh and Violante Ulrich who have worked extensively with silver in both Italy and Taxco mixing elements from both cultures. All in all on the surface it seems as if Taxco’s silver market continues to be alive and well (Morrill 2002:59, “Taxco” 2009). However, there is another significant side of the story that has come into being since Spratling’s death. There remain only two mines in the city of Taxco where once there could be found more than a dozen. Four hundred years ago, those miners working in Taxco were excavating mostly silver, but today there is little left to provide for the city’s bustling worldwide market. Today’s mines now yield zinc and molybdenum, which both often leave the city to be sold as exports. Most of the silver found in Taxco at present comes from Northern Mexico in a granulated form by the kilolitre. Once these shipments arrive in Taxco they are portioned and sold literally in “hole-in-the-wall” establishments that are gated as to prevent theft of the city’s most precious material. Artisans then take the granulated silver home where they then melt the silver and form it with wax molds they have designed. Furthermore, the Taxco silver market has plummeted since the bombing of the twin towers on September 11th. In the following months after the tragedy, the number of people flying abroad drastically plunged and people stopped traveling to Taxco to buy silver, and though the aircraft business has picked up considerably since then, Taxco’s silver market has not. During the largely inanimate period of air travel, many foreigners discovered that the larger retail stores would take their orders by fax and send them via international mail. It was no longer necessary to make the journey to Mexico for the uniquely handcrafted silver items. Even worse the internet has further provided outlets for the few thriving stores to flaunt their silver articles worldwide, hence eliminating the obstacles of distance and time that were once necessary to tackle in order to acquire the celebrated treasures of Taxco. Silver prices have tripled due to all of these forces. What is left now is an immensely sprawling market ran mostly by the poverty-stricken indigenous populace of Taxco who feel the brunt of the market’s downturn. The number of stands that sell silver in the market multiply each year even though the number of people that attend is waning. Still the market’s biggest enemy to date did not evolve out of a waning international industry, but within the city of Taxco itself. The rich and elite non-Indians have worked very diligently to undermine the efforts of the lower class indigenous people in their city. Ridiculous taxes and regulations are passed and amplified every year, which do nothing but benefit those in power who claim without proof that the indigenous people are only selling drugs, speaking English over Spanish (really they are speaking their indigenous language called Nahuatl), and stealing. The city has forced the market to change locations over four times in the past decade, each time moving it farther and farther from the zocalo (main square) into worse locations within the city. This also means the indigenous artisans must rent new locations for stands that must be resized and rebuilt along with new storage locations that must be close by. In addition, the larger retail stores also ran by non-Indians find ways to exploit the darker-skinned lower class to their own advantage. These retail stores often contact local indigenous artisans to fulfill their worldwide orders with the designs requested. 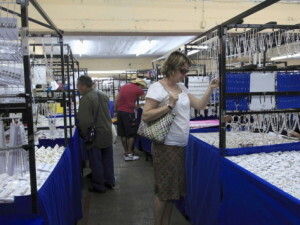 Upon arriving at the stores, artisans find that they are paid for only half of the order as the stores refuse to pay the rest until the product is sold. Afterwards these indigenous silversmiths are placed in considerably heavy debt and must beg the stores regularly for the rest of their pay. Payments are usually known to be neglected for months or sometimes never paid in full. The city does nothing to protect the indigenous artisan or their families from such exploitation and while the Saturday market had been the best way to circumvent the mistreatment of the retail stores, now many have started setting up their own booths with their extensive collections. Several unions have been set up in the name of empowering the working class, but only one remains without any official political ties. In this way, the city of Taxco remains under the harsh rule of silver. The history concerning Taxco’s silver industry has seen moments of rich development for the city’s native populace, yet for the most part it has been marked by the manipulation of the poverty-stricken indigenous community by those non-Indians with power and lighter skin tones. Currently, over eighty percent of homes in Taxco have a room especially for jewelry making with the overwhelming majority of these belonging to the exploited lower class who must continue to enrich the upper class non-Indians in order to survive. Now an already dilapidated market faces the contemporary worldwide recession and the brutal violence of the Mexican drug wars. 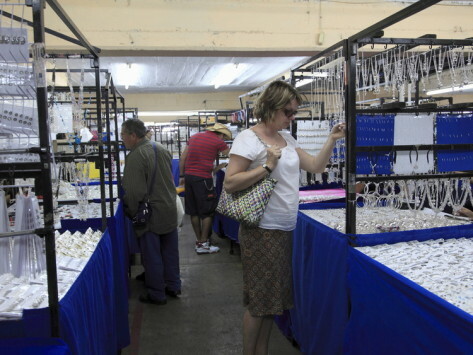 How will the heralded silver market of Taxco survive, or more importantly those who are exploited to support it? (2000) The Silver Gringo: William Spratling and Taxco. Albuquerque : University of New Mexico Press. (2002) William Spratling and the Mexican Silver Renaissance: Maestros dePlata. San Antonio, TX: Henry N. Adams. (2008) Taxco. Electronic document,, accessed 2009. The History of Silver in Taxco, Mexico. Electronic document,http://www.floramex.com/li-history_of_silver_in_taxco.htm, accessed 2009.